Perez has long expressed his desire to upgrade Real’s stadium and earlier this week he revealed what those plans look like in reality. The modernisation project will include a retractable roof, a titanium facade and a 360-degree videoboard, though no significant increase in stadium capacity. The revamped stadium will still seat about 81,000 fans. 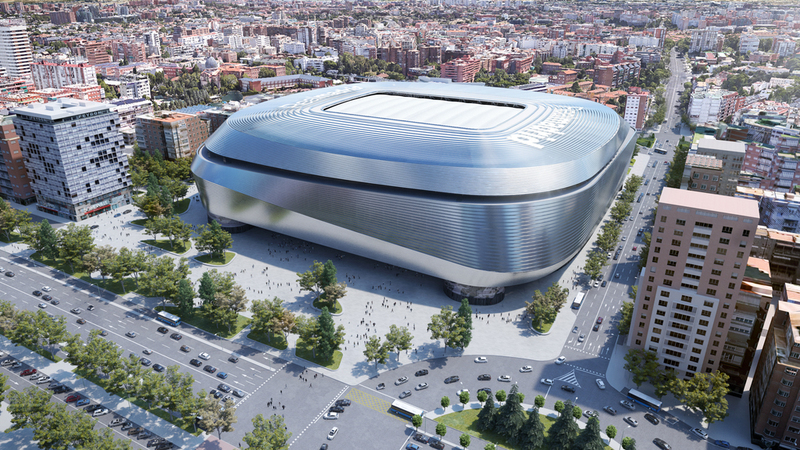 Perez’s words floated the idea that the refurbished ground will regenerate the area around Bernabeu, but the upgraded stadium will principally serve to create greater cash streams for the club as Madrid seek €150 million a year in additional revenue with a modernised Bernabeu. In February the club agreed loans of €575 million ($650 million) for the project with American banks Merrill Lynch and JP Morgan. The US banks will be joined in the deal by Santander and CaixaBank, but their Spanish counterparts will play a minor role in the financing operation, which is believed to be a 30-year loan with an annual interest rate of 2.5%. In the past Perez failed to find naming rights partners for the stadium to fund the project. Potential investors were put off by the idea of revamping the old stadium instead of building a new ground.